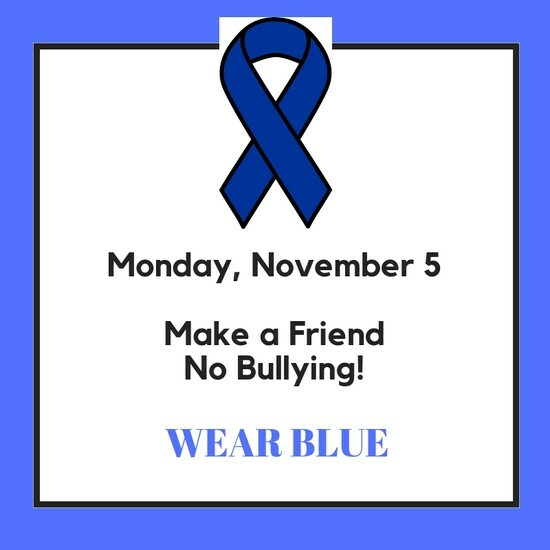 Everyone is encouraged to wear blue to say, "No! ", to bullying! Today is a day to make friends!